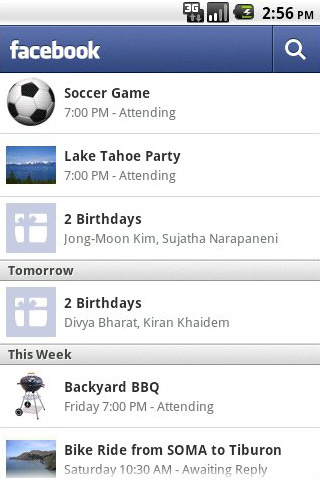 Last week, Facebook released a long-awaited revamp of their Android App. Prior to the update, the app’s feature set was rather embarrassing. It failed to offer a decent interface and lacked many features that Facebook’s official app for iOS and webOS devices had. When Facebook CEO Mark Zuckerberg, made the transition from an iPhone to an Android device, the blogosphere expected an immediate revamp. Fortunately, that’s exactly what happened. 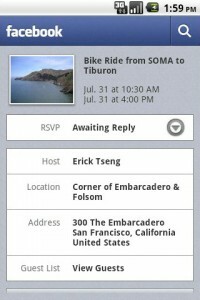 According to Facebook’s change log, version 1.3 brings new features including “video playback, the ability to view and RSVP for events, respond to friend requests without leaving the app, and an updated homepage.” Much like the famous notification drawer on Android devices, the Facebook app adds another draggable “Notifications” bar at the bottom. Oddly, clicking on a notification redirect users to http://touch.facebook.com in Android’s native web browser. There’s also a photo reel at the bottom of the app’s home screen, which displays newly uploaded images. The updated app also makes it easier to update your status and search for friends. While Android users initially welcomed these new features, forums were soon filled with complains. Due to a bug, the application began causing rapid battery drain. Many users resorted to uninstalling the app entirely. 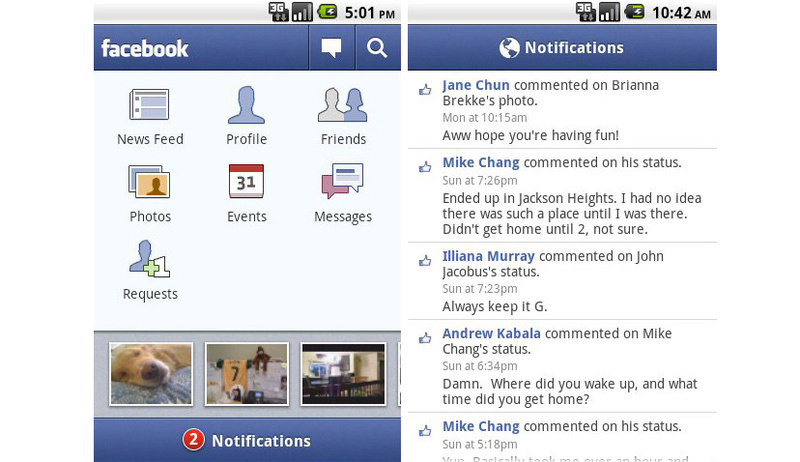 Three days later, Facebook officially recognized the issue and released an update (version 1.3.1) to solve the problem. And within a week, Facebook released yet another update, this time adding support for Android OS 1.5 devices and claiming to fix other bugs. I’ve been using Facebook for Android on my HTC EVO 4G for the past few months and while I appreciate the recent improvements, there are still some things worth mentioning. 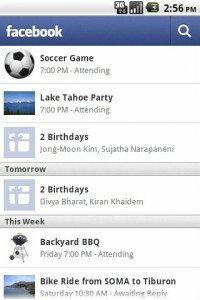 First, although I prefer the Android platform over iOS, I still found the Facebook app on my iPhone 3GS better. The user interface isn’t consistent and doesn’t look like other native apps. While Facebook for iOS has instantaneous push notifications, the Android app only checks at specified time intervals. Despite setting the refresh interval to 30 minutes, notifications for comments, new messages, and requests rarely get delivered on time, if at all. As for the newly added Contact Sync, which I was initially excited to use as a replacement for HTC’s Facebook Sync, it caused more problems than I could possibly imagine. My contacts suddenly had 3-4 duplicated entires for the same numbers retrieved from Facebook and the phone began responding very slowly. After disabling the feature, the issues went away. While I still have the app installed, I’ve found Facebook Touch, which runs in the browser, a whole lot better. The interface is consistent, it’s fast, and clean. The mobile version, hilariously, provides more information than the app from the Android Marketplace. For those who own smartphones with 4.3 inch displays such as the Droid X or EVO 4G, viewing the full-fledged web page isn’t too difficult either. While I’ll trust that Facebook is working on a much-needed major revamp for Android users, I’ll stick to using Facebook from my web browser until then. I don’t really like Facebook on Mobile Devices. Every app, every facebook mobile version, it never displays the full most recent newsfeed like the full page Facebook does. It get’s really frustrating some times knowing that everything I read on my phone, the desktop version contains more items.